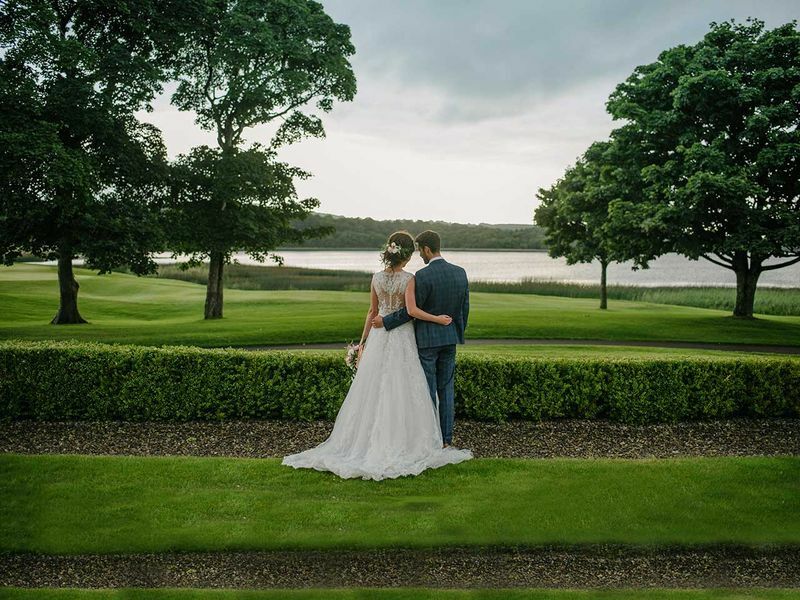 This idyllic, romantic Fermanagh wedding venue, nestled between Lower Lough Erne and Castle Hume Lough offers a degree of luxury unmatched by competitors. The hotel offers stunning 360 degree views and the exquisite Ross Suite and Lakeview terrace combine to create a real life fairy-tale setting to celebrate your wedding and a stunning backdrop for your wedding photography. 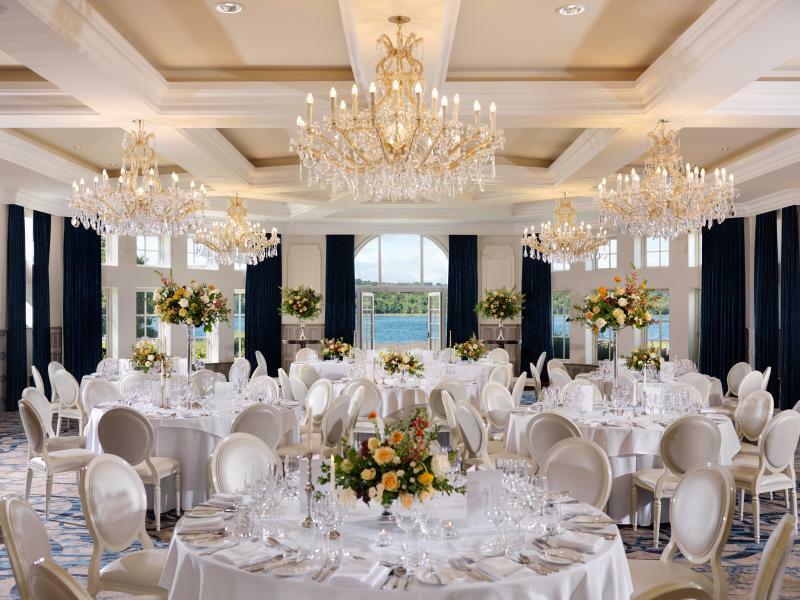 Wedding Planningat Lough ErneWhether you are planning a lavish wedding reception for up to 280 guests or an intimate celebration, our one wedding per day policy ensures that our attention is solely focused on you. Wedding Enquiriesat Lough ErneA Wedding Coordinator will respond to your enquiry within 24 hours. Whether wedding, civil partnership or civil ceremony, a gathering for up to 300 guests or an intimate celebratory family meal, choosing Lough Erne Resort gives you the peace of mind that you are celebrating your special occasion at one of the very best wedding venues in Ireland. By day, the Ross Suite is flooded with natural light, featuring a large bay window directly overlooking Castle Hume Lough and by night, the stunning chandeliers create a romantic and elegant backdrop. Guests can mingle on the spacious Lakeview terrace or in the luxurious Ross Outer reception area. With wedding menus by acclaimed chef Noel McMeel, that feature only the absolute best of local produce, and with award winning service from our banqueting team where attention to detail is the priority, your wedding at the Lough Erne Resort will be a day never to forget. Get a taste of the day with our Wedding Gallery.